Nest has done it again. 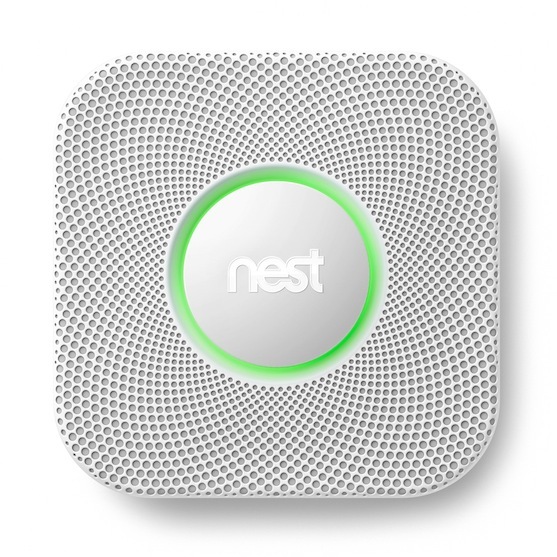 The new Nest Protect is a smoke and CO detector that is location-aware, motion controlled, and uses voice prompts. Whether your home is using classic battery-powered devices or new-fangled hardwired smoke detectors, the Nest Protect can work for you. Nest has just unveiled this product and I’m already excited to make it a part of our home. Finally the Nest Thermostat won’t be a technological island that only talks to itself. It would appear that Nest as a company truly does have an interest in creating an ecosystem. We’ll just have to wait and see how interested they are in including others in their world. I, for one, would certainly love to have my security system tell the thermostat to go into away mode and reduce the temperature. The design of the Protect is in line with the Nest Thermostat. Clean lines, attractive curves, intuitive interface, and intelligent features that put the old-fashioned devices they replace to shame. The Protect gives you a pre-alarm verbal warning that tells you of elevated smoke or CO in a specific room. To hush the warning or alarm, simply wave your hand at the device. Your mobile device also receives alerts whether you are home or away. They will undoubtedly graph and track air quality data with their website as well so you can have very interesting micro-environmental data for your home. Lastly, the device is motion-sensitive. This may be Nest’s toe in the door to home monitoring and security. We’ll probably learn more at CES next year. This entry was posted in Construction and tagged electrical, furnishings, hvac, technology. Bookmark the permalink. This is cool. I’m sure I’ll never get enough of a credit to put a dent in the price. I think I’d need 8+ and that will add a lot to the cost but they are slick.